What is Latin for Salad? My translator app says acetaria, with an alternative for moretum. Moretum is also listed as delicatessen. 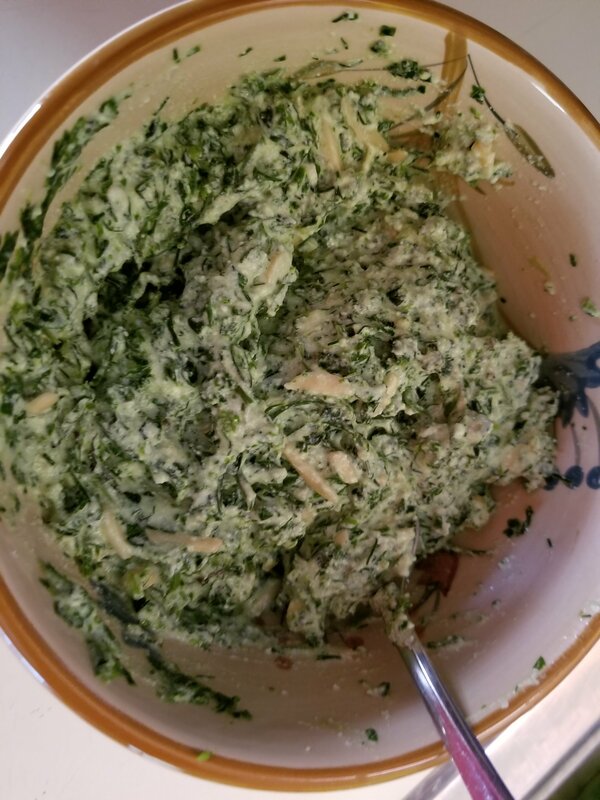 It is more like a spread the way I’ve made it, but a tasty way to get some greens all the same! Recipes for moretum are variously attributed to Virgil, Cato, and Columella. In my mind moretum was likely the product of a resourceful housewife or talented slave rather than a farmer, senator or poet. It has all the hallmarks of a recipe using what was on hand at the moment. Obviously using the freshest, just picked herbs and fresh made cheese would make for the tastiest dish. Guess what? Even for a chef, that doesn’t always happen! 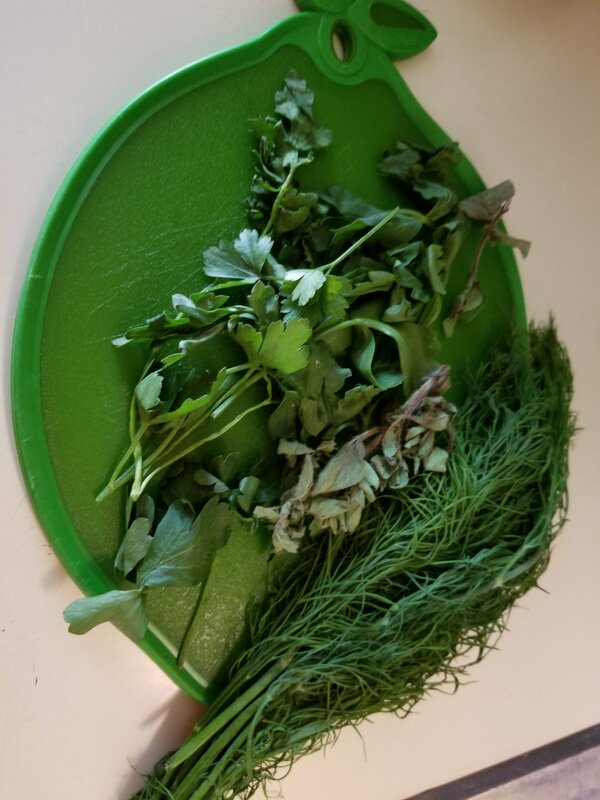 I buy beautiful herbs at my local farmers market on Sunday, and then forget to make moretum until Friday. Oops! Fortunately this dish is very forgiving, so the slightly limp greens below, became a tasty lunch. This batch was highlighted by spicy oregano and a few shallots on the base of arugula and parsley. I used slivered almonds for nuts. It was wonderful on top of toasted flatbread.